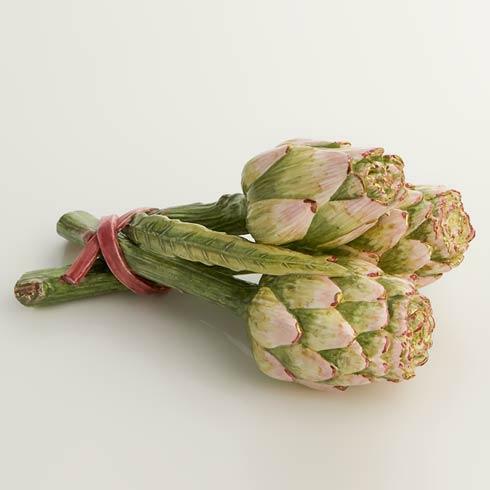 Mottahedeh ~ Artichoke ~ Artichoke Small Bunch, Triple, Price $375.00 in New York, NY from William-Wayne & Co. This Elegantly Detailed Piece Is A Reproduction Of An Item Mede In The Early Days Of Mottahedeh At An Itailian Factory Basso. The Triple Artichoke Bunch Was Made To Co Commemorate 50 Years Of Coopertion Between The Two Companies.